Our facility consists of nearly 40,000 square feet of space featuring a 15,000 square foot Exhibit Hall capable of being divided into smaller breakout areas. The facility also features three 1,200 square foot Meeting Rooms that can be used individually as break out rooms or as one large room which is perfect for meetings and conferences. Our spacious Executive Board Room is appointed with a large mahogany table with plush seating for fourteen as well as a private restroom and kitchenette. The Natchitoches Events Center is capable of hosting a relaxed meeting for ten or a full-blown event requiring space for up to 1,000 people. Our attentive staff is ready and willing to assist you with all aspects of the event planning process down to the last detail. The versatility of our rooms coupled with the extensive availablility of audio/visual or other equipment makes us the perfect destination for small to medium size events. The Natchitoches Events Center offers a select group of local food caterers as well as beverage service companies. All of these caterers have passed stringent guidelines including proper permitting as well as general liability protection just to name a few. Whether your event is large or small, formal or casual, these approved caterers are capable of filling all of your food and beverage needs. 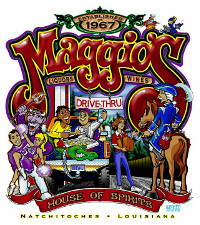 Maggio's Package Liquors is the oldest drive-thru liquor store in America that offers frozen drinks, cocktails, beers, wine, and a wide selection of liquors. Here at Maggio's Package Liquors, we also offer beverage catering services for any type of party, at any time, and for any size. We are an event center approved liquor store, and we also provide bartending services that are guaranteed to triple the fun out of your parties and special events. Call Maggio's Package Liquors at 318-352-3033 today. If you have any questions or clarifications, please do not hesitate to give us a call. We look forward to hearing from you! 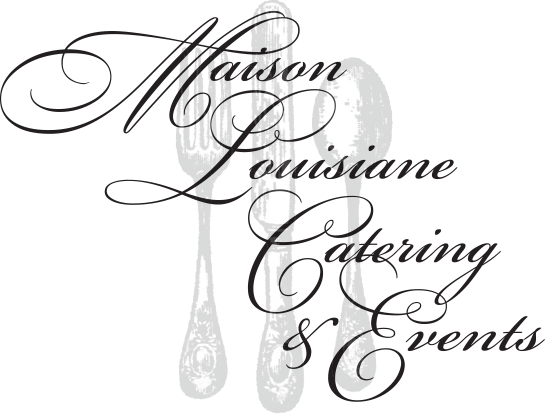 Maison Louisiane Catering is the perfect choice for your wedding or special event offering catering for all occasions with Louisiana’s finest gourmet menus and impeccable service. With high professionalism, first class service and all of the charm of Southern hospitality, Maison Louisiane Catering is the ideal choice for any occasion. Chef Ben and his staff are happy to travel anywhere. Come and see how affordable elegance can be! Maison Louisiane Catering also provides turn-key professional beverage service. We can create Mojito Bars, Whiskey & Cigar Bars, Beer Bars, Sangria Bars and many others. We not only cater full bar and cash bar but also non-alcoholic bar service as well. We can cater any beverage service you may need. We do custom bar service with options that include a mimosa bar, bloody mary bar and many other options. Give us a call and let us help make your event a memorable one.